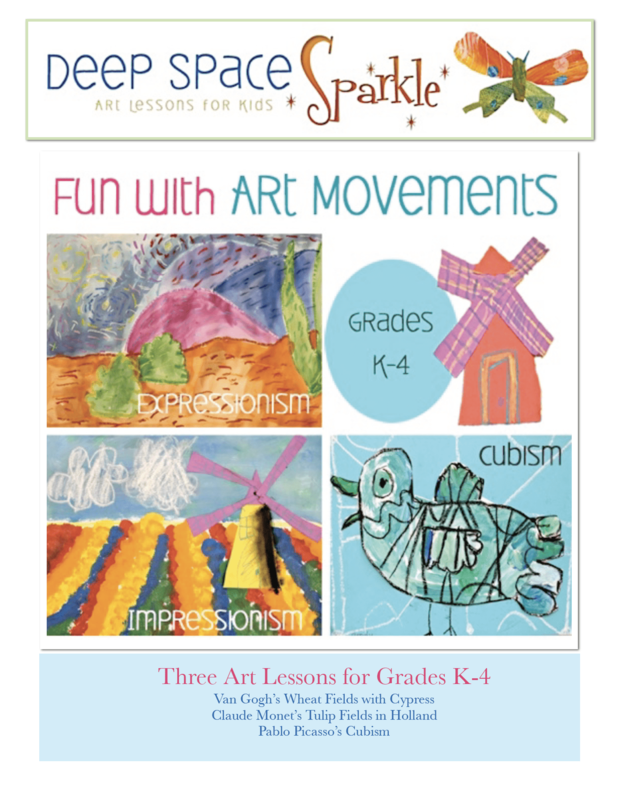 Three colorful art lessons for grades K-4 that feature three popular art movements: Expressionism, Impressionism and Cubism. Inspired by Van Gogh’s Wheat fields and Cypresses, Picasso’s cubism and Claude Monet’s Tulip Fields in Holland, children draw and paint colorful works of art. This 23 page booklet offers three coloring pages and one drawing guide, full-color photo-tutorials and student galleries.